Developed to give lighter and sportier engine characteristic. 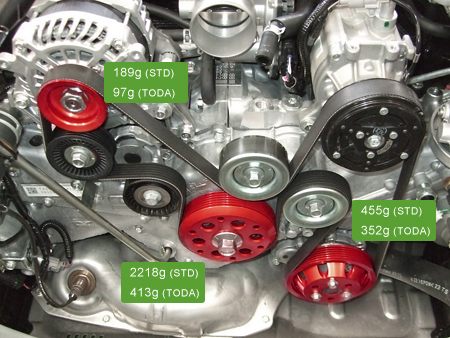 By reducing the overall weight (and inertia) of the pulleys, and by modifying the alternator pulley ratio to take advantage of the more sporty use, the burden on the engine is reduced helping to improve acceleration performance. A standard length belt is provided. Installing with a new belt is important to help improve the running in process of the new pulleys. 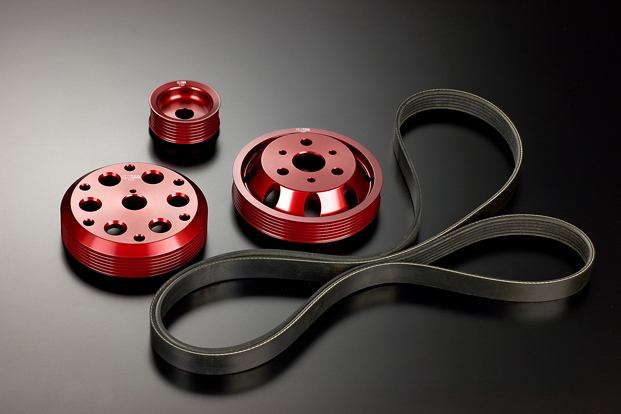 Duralumin A-7075 is used as a material, and these pulleys are red anodized. 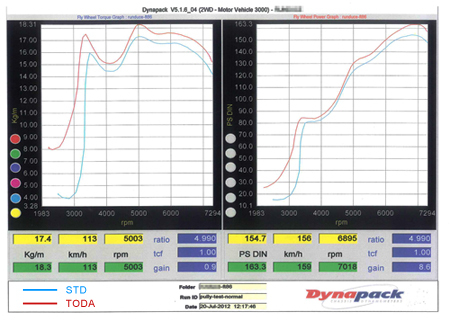 Based on our comparizon data, improvement in performance about 3 - 10 HP was confirmed.